They're in the band! The touring production of Andrew Lloyd Webber's School of Rock—The Musical will welcome eight new cast members beginning March 13 when the show plays The Kentucky Center in Louisville. Rocking their way across the country will be Alyssa Emily Marvin as Marcy, Grier Burke as Tomika, Vincent Molden as Zack, Huxley Westemeier as Billy and Iara Nemirovsky as Summer. Jack Suarez Kimmel, Cameron Trueblood and Jesse Sparks will join the kid's ensemble. 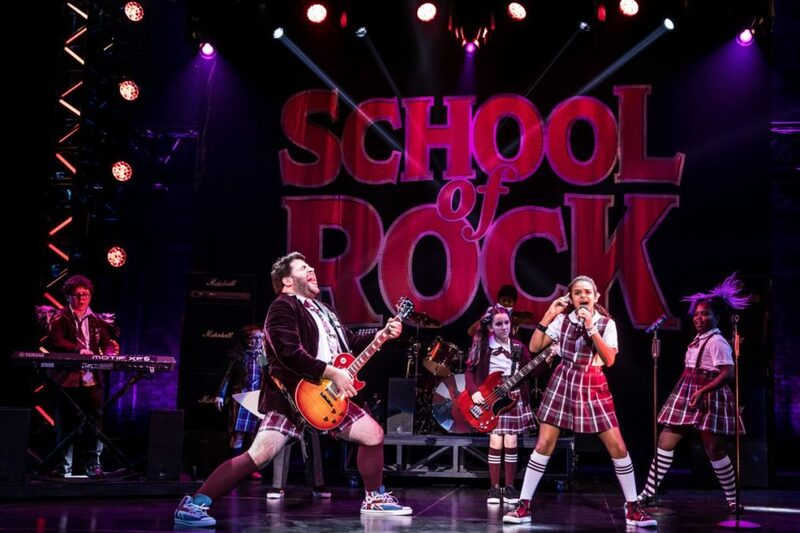 The School of Rock—The Musical tour currently stars Rob Colletti as Dewey, Lexie Dorsett Sharp as Rosalie, Matt Bittner as Ned, Emily Borromeo as Patty, Merritt David Janes as Dewey Alternate, Deidre Lang as Ms. Sheinkopf, Olivia Bucknor as Shonelle, Theodora Silverman as Katie, Chloe Anne Garcia as Marcy, Carson Hodges as Mason, Gianna Harris as Tomika, Gilberto Moretti-Hamilton as Freddy, Phoenix Schuman as Zack, John Michael Pitera as Billy, Theo Mitchell-Penner as Lawrence and Ava Briglia as Summer. The adult ensemble features John Campione, Patrick Clanton, Christopher De Angelis, Kristian Espiritu, Melanie Evans, Liam Fennecken, Kara Haller, Elysia Jordan, Jameson Moss, Sinclair Mitchell, Tim Shea and Hernando Umana. The kid's ensemble features Rayna Farr, Bella Fraker, Alex Louis, Tommy Ragen, Gabriella Uhl and Aiden Niklas Villa. School of Rock—The Musical is based on the smash hit 2003 film of the same name, featuring music from the movie, as well as an original score by Andrew Lloyd Webber, lyrics by Glenn Slater, a book by Julian Fellowes, choreography by JoAnn M. Hunter and direction by Laurence Connor. The musical follows Dewey Finn, a failed, wannabe rock star who decides to earn a few extra bucks by posing as a substitute teacher at a prestigious prep school. There he turns a class of straight-A students into a guitar-shredding, bass-slapping, mind-blowing rock band. While teaching these pintsized prodigies what it means to truly rock, Dewey falls for the school's beautiful, but uptight headmistress, helping her rediscover the wild child within. To find out when School of Rock—The Musical is headed to your city, click here.